This hotel is a pleasure to stay in in every way, except for one manager who said that Expedia customers weren't guests legally, but rather Expedia was. I'm sure this is true, but who wants to hear that at the end of a fabulous time in NOLA? Elegant, perfect location, modern conveniences but with the right flare of history and charm! The meeting facilities were perfect and the food ranked up there with any in the area. Service and staff were very friendly and focused on the overall customer experience! 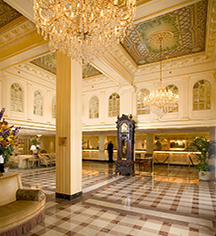 Excellent Hotel with the famous Carousel Bar! 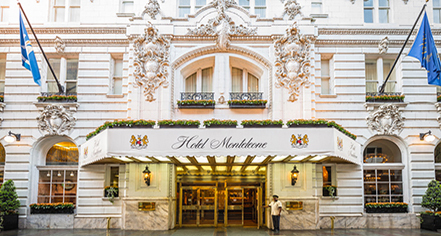 We stayed at two different hotels on a recent trip to the French Quarter and the Hotel Monteleone was far superior to it's similarly priced competition. Excellent location on the edge of the French Quarter within easy walking distance of many of the local bars, shops and restaurateurs.Highly recommended! I think it is time that the hotel tightened up its door policy. They seem to be letting anyone in. We couldn't get a seat at the bar for children in seats everywhere and it seemed highly unlikely they were guests. If so the clientele is going down as well.